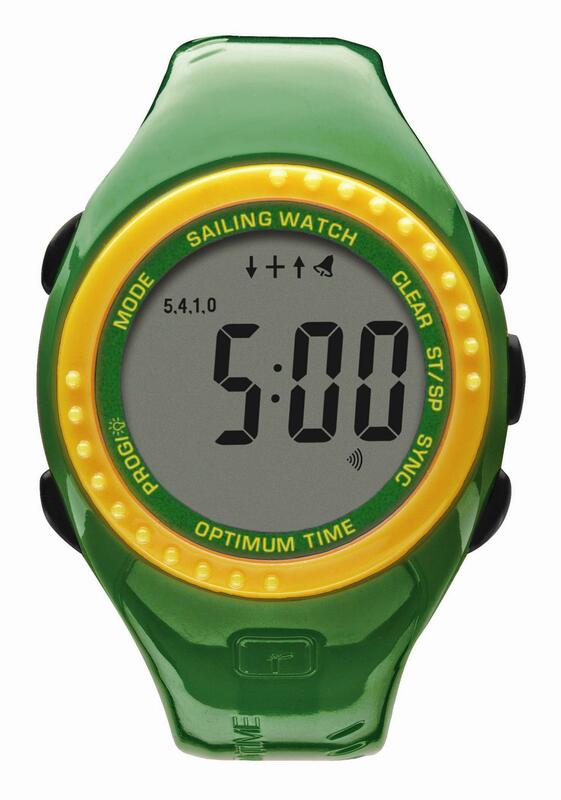 Limited Edition AUSSIE sailing watch. Represent in Green & Gold! Place an advanced order, will be back in stock from mid-March 2014. The series 11 is the latest in a long and successful series of sailing watches from Optimum Time. It has all the features you depend upon to get to the start line on time: a fully programmable race countdown to suit your type of sailing and a snyc button which allows you to snychronise your countdown to the next minute - an invaluable tool if you start the countdown late. The sailing watch also has all the standard features you expect from a normal wrist watch: date, alarm, 12 or 24 hour time, and waterresistant to 50 meters. To top it all off, it is available in 7 colours, Black, Pink, White, Red, Yellow, Lime Green, and Bright Blue.